Shelving is a must in any home. Whether you are using it as accent shelving, to display a collection, or for basic storage, decorative shelving can take many forms. Small individual floating shelves can highlight a wall while a large unit can be the focal point of a room. While they are highly functional, then need never be boring. So many different styles and sizes are available that it will actually be hard to choose. Here are some ideas to consider for your next room redo. 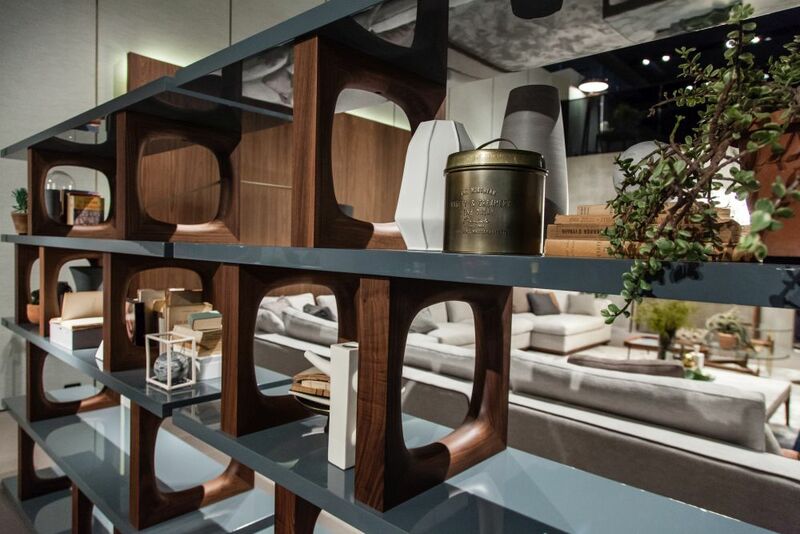 Thick and a bit slab-like, this shelving is a contemporary choice. Sometimes shelves are all about the storage factor. If that’s the case, think beyond individual free-standing units and consider permanent styles. these can be floating or recessed, or even mounted in front of windows or mirrored walls. 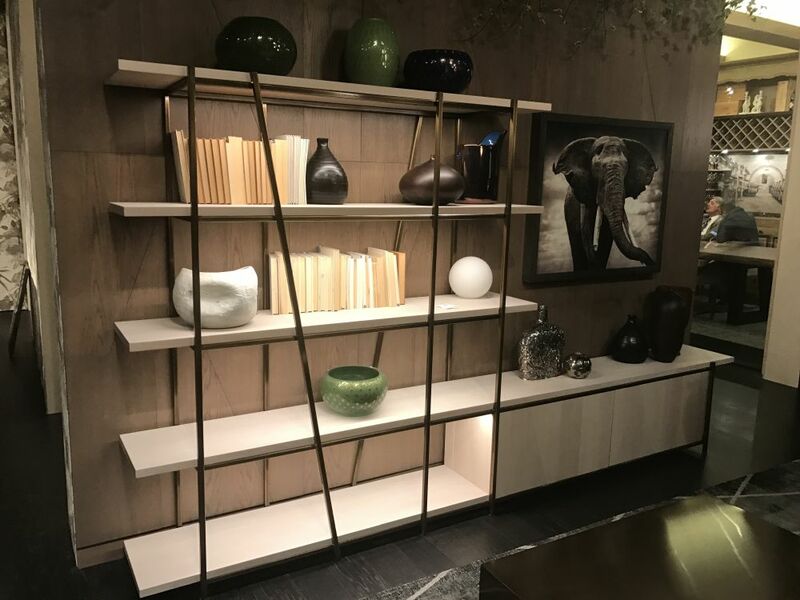 The hefty thickness and sleek material make for shelving that is very modern and solidly supports all the books and accessories that need to be stored or displayed. Take note of the varied arrangement of books. Rather than just lining them all up between bookends, interspersing them with stacks and accessories creates a more interesting display. 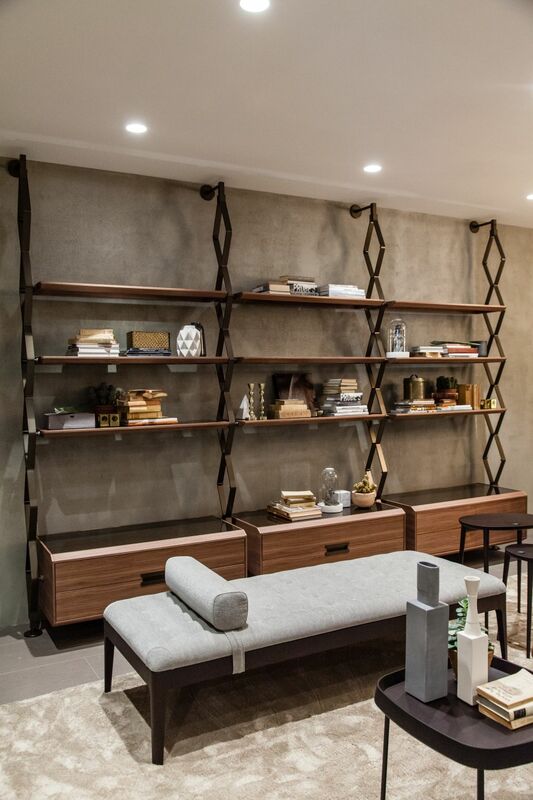 Decorative shelving is an ideal room divider. Using shelves as a room divider is a very effective way to visually partition off some space and add storage at the same time. These can be primarily for storage or display — whatever the need or preference. With a highly decorative style of shelving, it’s best not to overload the shelves to preserve the look. If space is tight, remember that shelving may not take up any more space than an accordion style divider and can add more function. Floating shelves come in all sizes and lengths. 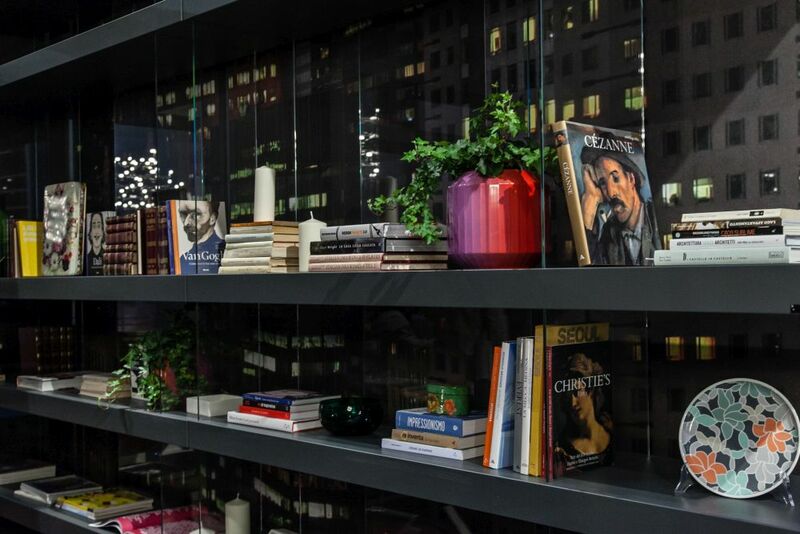 Floating shelves are one of the most versatile types of shelving and can be used in virtually any space. They are available in varied widths, from very short to many feet long. The visual effect is more stylish than a plan free-standing unit and it is generally a more contemporary look. They’re very versatile, however, keep in mind that they may not be able to support super heavy items without extra hardware. 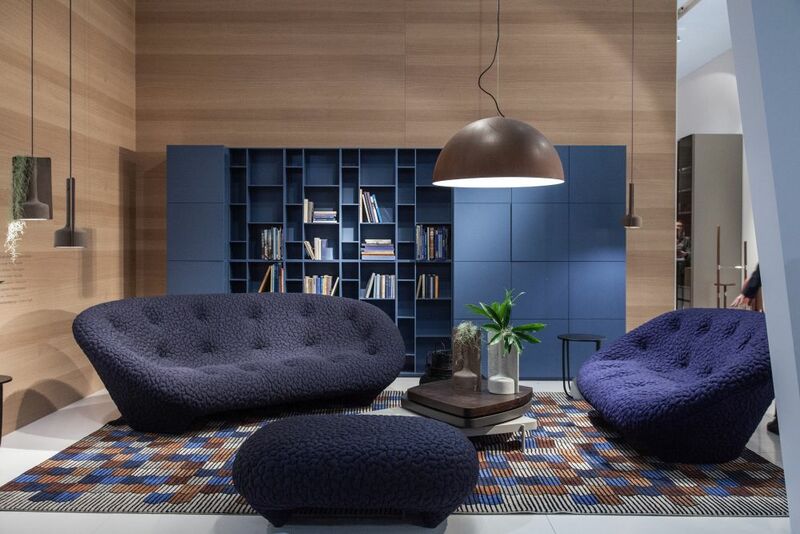 Modular units can have super stylish features. Modular shelving units are ideal, especially if you want to combine closed and open storage. This particular unit has closed cabinets at the base and the upper shelves are attached to the wall at the top for extra safety and security. For a smaller space, just one or two units would do the trick, or a larger space could add a fourth. Modular units also offer an opportunity to choose something more decorative, like the scissored metal supports on this set. Backlighting adds a lot of drama to shelving. 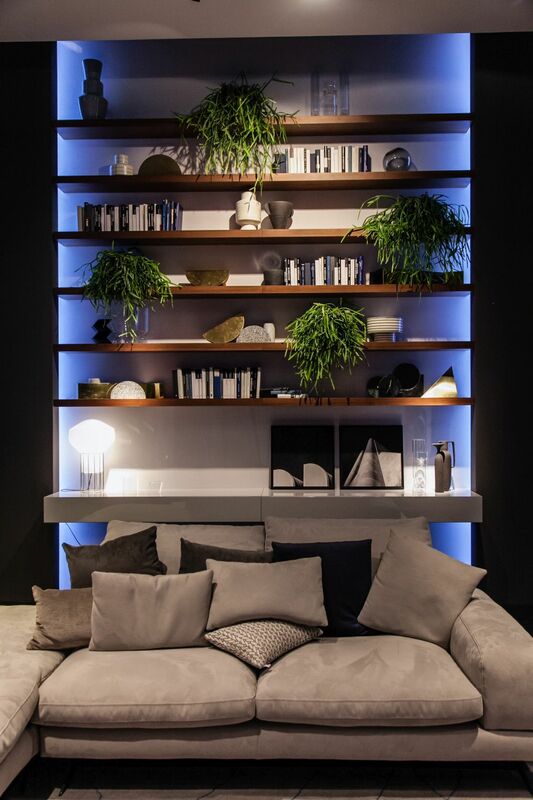 One of the coolest looks for decorative shelving is a backlit installation. The most dramatic type is inset because the light from the sides makes the whole thing positively glow. The same type of concept works for freestanding or regular wall shelving if underlighting is used. Regardless, anyway that lights can be incorporated into shelving will up the style factor and turn them into a major focal point. Combination wall units offer flexibility with storage and display. 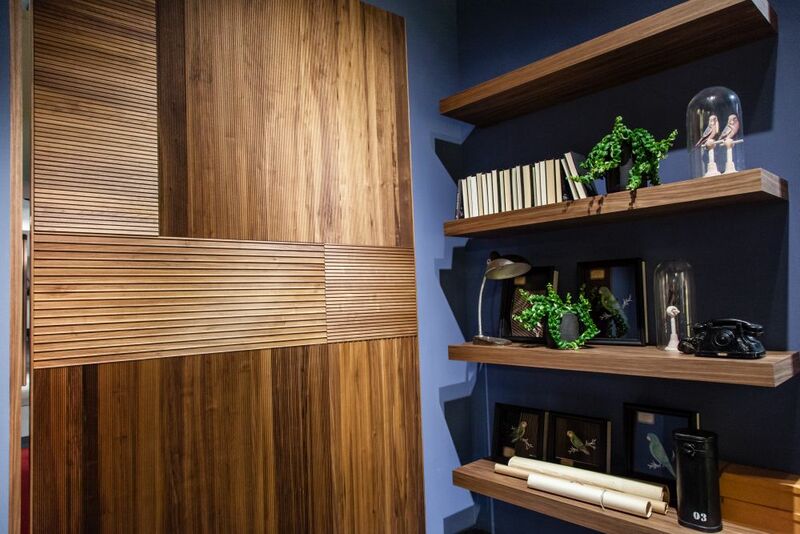 When storage space is a must and built-ins aren’t possible — or desired — a combination wall unit is a great alternative. Opting for a wall unit that mixes the style and sizes of shelves and cabinets is the most visually appealing way to go. Whether the style is modern, farmhouse or industrial, there are plenty of different combinations to choose from, driven by how much-concealed storage is needed. Floating shelves with drawers add extra visual appeal. If the visual aspect is a priority over storage space — but you need just a little — floating shelves that incorporate a few small drawers are a very stylish choice. This wall arrangement is especially attractive because of the mix of sizes and widths. The small drawers add some storage to tuck away some little-used trinkets while the larger bottom section anchors the installation and adds some meaningful concealed storage space. Individual cubes are an artsy choice and offer more versatility. 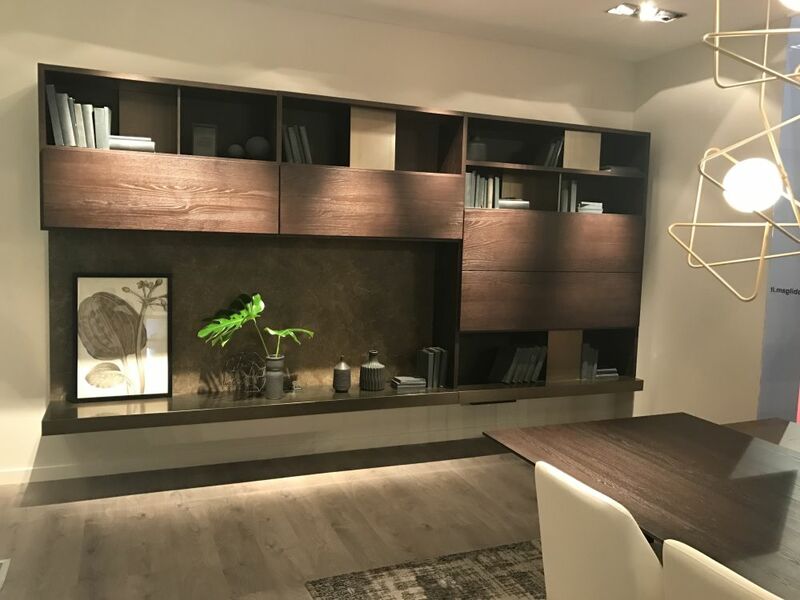 Similar to floating drawer shelves, installing a collection of individual box units in an array of shelves and cupboards turns a simple shelving piece into a more artful arrangement. the varied colors and finishes of the boxes add visual interest and the individual pieces add much more freedom to install exactly now many closed units are desired. Full walls of shelving will dominate a room. Sometimes, there’s nothing like a full wall of shelves to make a major impact. Fortunately, the many decorative choices available today help keep the room from looking like a library. 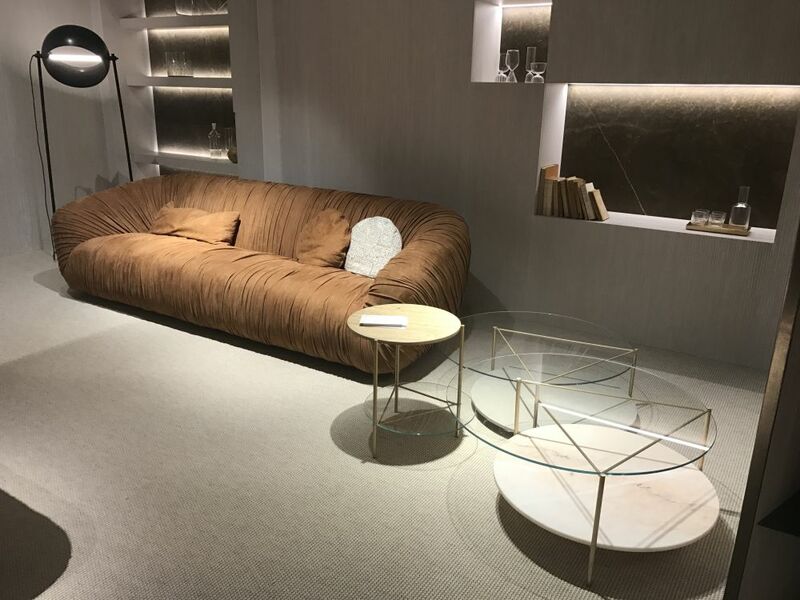 This large unit is a good example because the small shelves have a novel shape and the irregular placement makes it more stylish. More about display than storage, these types of shelves work for rooms of all sizes because they are usually modular. Highly artistic designs make floating shelves very eye-catching. 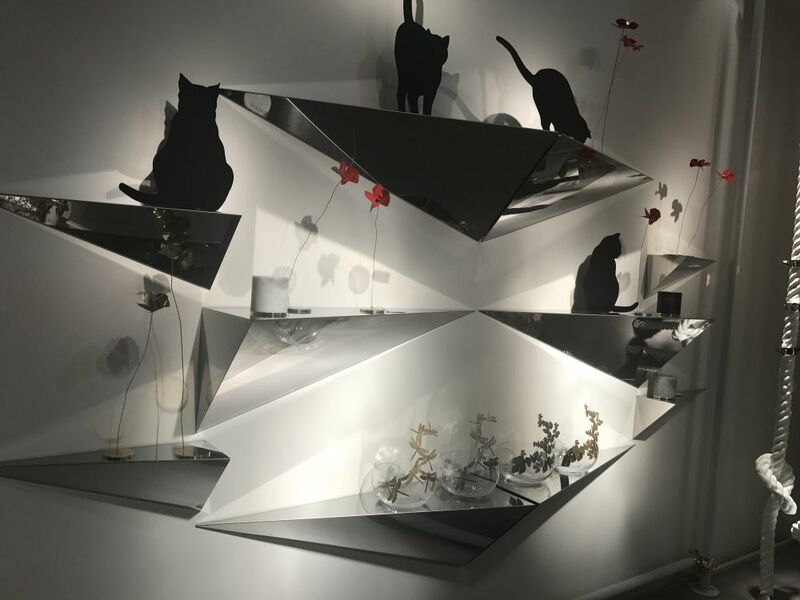 At the distinctive end of the spectrum, decorative shelves can be art in and of themselves, especially when arranged as these mirrored geometric pieces are. Clearly, this is more about the visual factor and storage is not a consideration. These are ideal for putting the focus on a collection, or to create a feature wall in a space. Regardless, this is a bold use of decorative shelving. Off-center shelving can make a space look larger. In a modern space, sometimes too much shelving can disturb the aesthetic and make the room feel more crowded. In those cases, long, lean floating shelves that don’t dominate a wall work best. 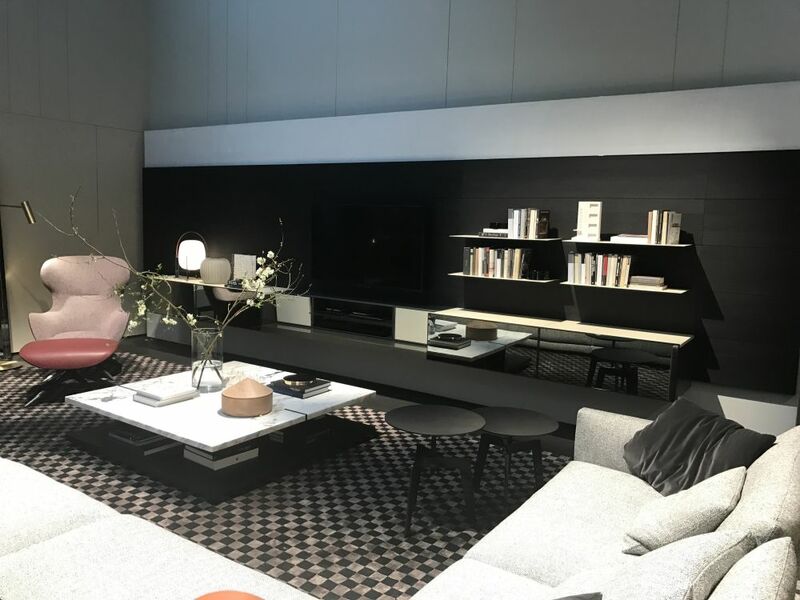 Here, the expanse of wall space is large, but the shelving is installed only on one side of the flatscreen television, which really emphasizes the open space. This works well in combination with a lower cabinet that hides all the electronics and other belongings. Cubby hole style built-ins create a custom look. Built-in decorative shelves don’t have to be of a standard shape or size, which is why they are so useful for creating a unique look. Created more like individual cubby holes, they are mainly decorative, perfect for displaying just a few books and other special items. Backlighting makes them stand out even more. Cubby hole shelves can be combined with other types of built-ins, like the backlit shelves that flank the other side of the sofa. Unusual details like angled supports make shelving distinctive. Shelving can also be a major piece of furniture in a room to balance out the other pieces. 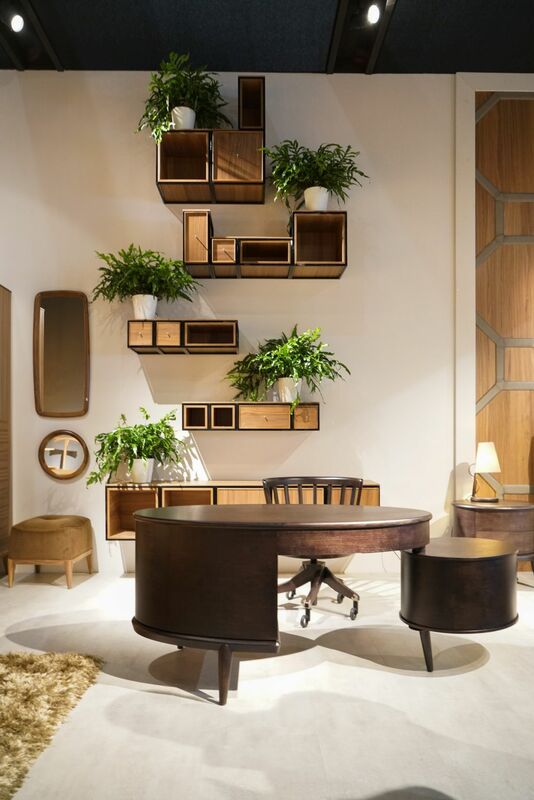 This freestanding modern unit combines a low credenza-style cabinet with an attached set of sleek shelves. Angled supports add more visual interest to this unit than is typical of shelving and really give it a distinctive flair with a modern edge. Use floating shelves above a low TV to draw attention away from the screen. Small floating shelves are ideal for installation over a low credenza, even one that serves as a media unit. Wall art would not work as well in this type of set-up, but the collection of plain floating shelves adds a little display space and makes the wall a focal point. 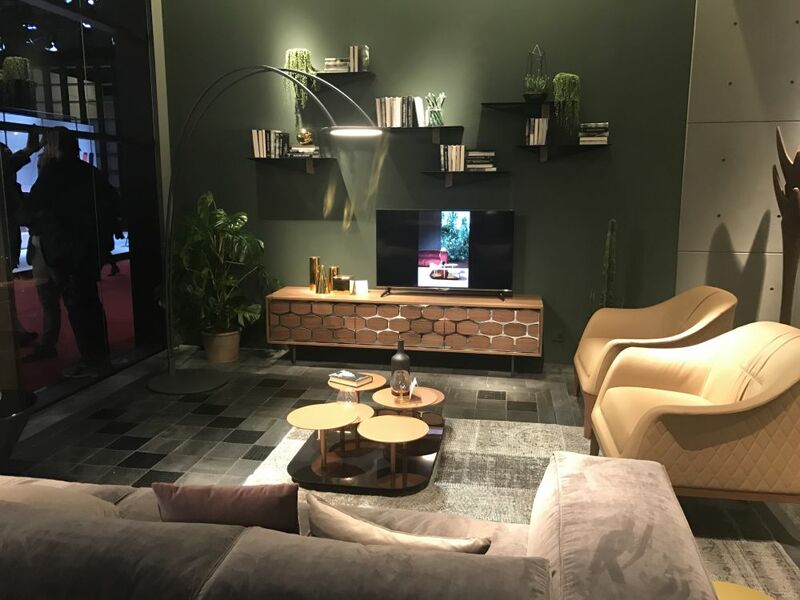 Best of all, the floating decorative shelves draw attention away from the flat screen television, which is not so appealing when not in use. Shelving attached to the wall has a more modern look and keeps floor space open. For full-wall functionality with a more modern appeal, modular shelving units can be installed in the wall, off the floor. 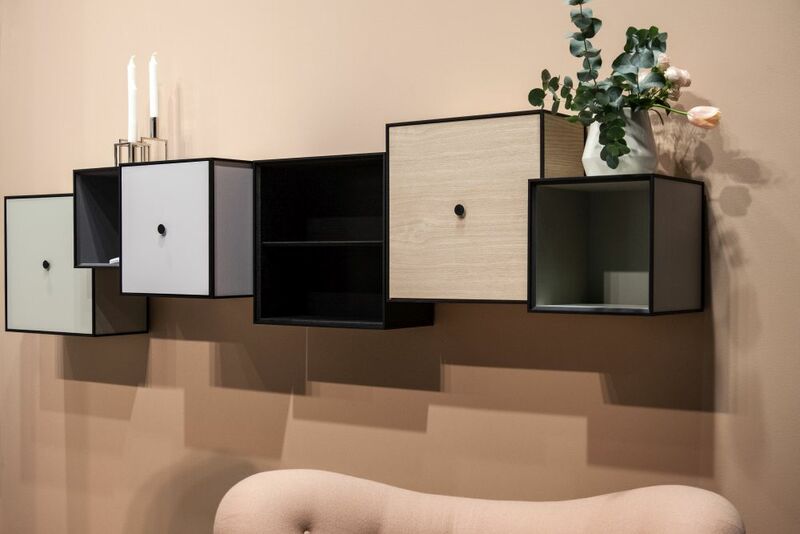 The individual pieces allow for variety in shelving and cabinetry, which makes them easy to customize depending on the amount of closed storage that is needed. Keeping the unit off of the floor gives them a cleaner look and can make the room look larger. 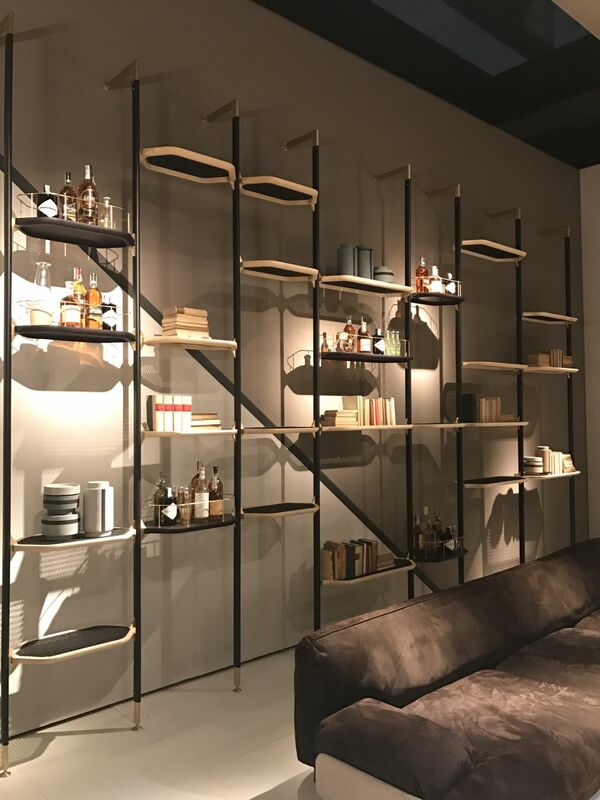 So many styles of decorative shelving are available that no space needs to look basic or boring, as long as you quite literally think outside the “box”. Even if your decorating budget means you need to shop at a big box store, flea market or second-hand shop, there are many ways to approach decorative shelving, so why not try something different! The post Super Stylish Decorative Shelving That Adds More Than Visual Appeal appeared first on Home Decorating Trends – Homedit.